Named after a beautiful 17th century warrior from Malabar India, Unniyarcha is a jewellery brand which has recently introduced us to its new Mahabharata Collection. The collection beautifully draws inspiration from major characters of the Mahabharata—the five Pandava brothers, Draupadi, Karna, and Krishna. 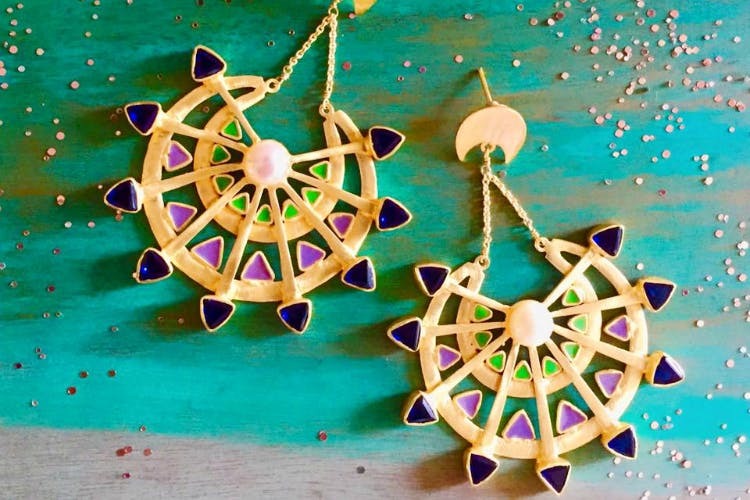 Featuring 18k gold plating, enamel work, and semi-precious stones, every piece in this collection shows a certain attribute of each character, like Yudhishthira’s spear fighting & chariot racing skills, or Arjuna’s skills in archery. We’ve picked our favourite six from the collection, a task that proved more difficult than we’d anticipated. Check out more from the Mahabharata collection here and follow Unniyarcha on Facebook here.